Being a child of the 80s it means I gave a special place in my heart for Thundercats and the Masters of the Universe. When DC acquired the rights to make MOTU they made sure not to waste it. So far we’ve seen them team up with the Justice League and the latest cross over involving the Thundercats is just pure epicness. In the comic we’ve seen some amazing scenarios and the first two issues have delivered so much fun to a fan of the original cartoons. 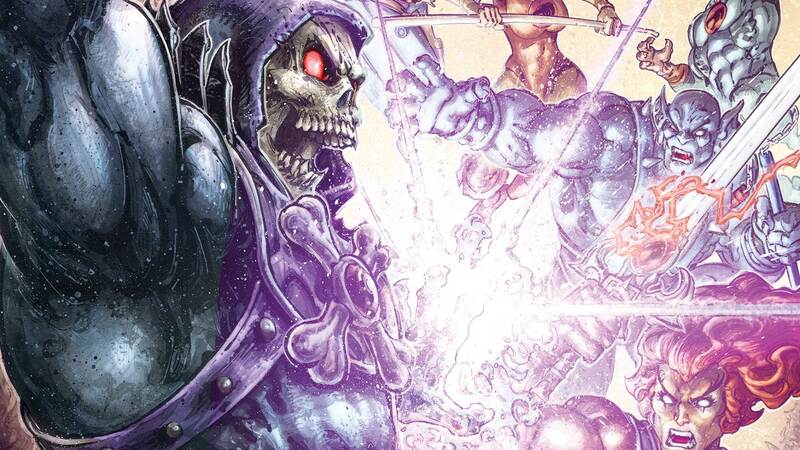 This week He-man/Thundercats #3 is out and it’s only a 6 part series so well worth jumping on if you can find the first issues in your local comic shop.